Tomato paste is an oft called for ingredient in savoury recipes. However, I have never, EVER seen a recipe call for a whole can of it. It’s just not necessary, and if you use too much, it actually make the dish taste a bit wrong. 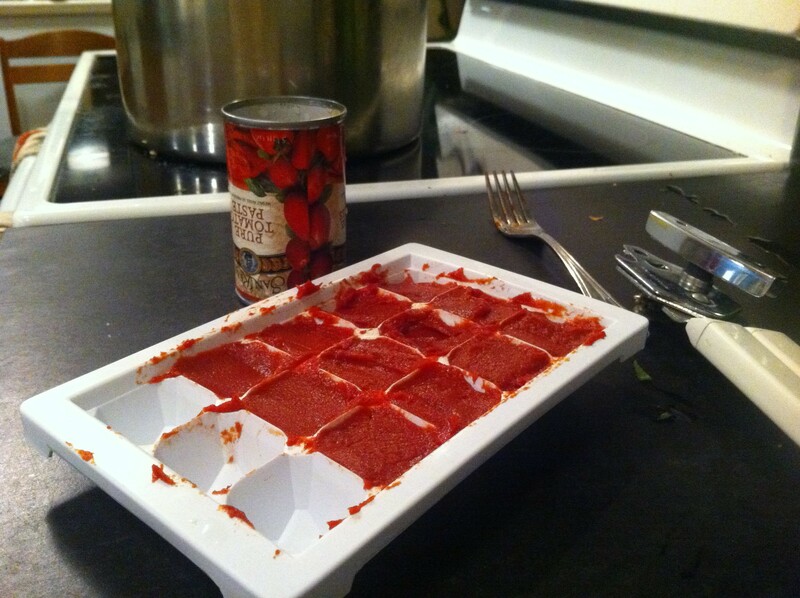 It may be inexpensive, but I hate wasting food, and how often are you going to use tomato paste in a week? Usually, it hangs out in the fridge and grows mold, eventually getting tossed. 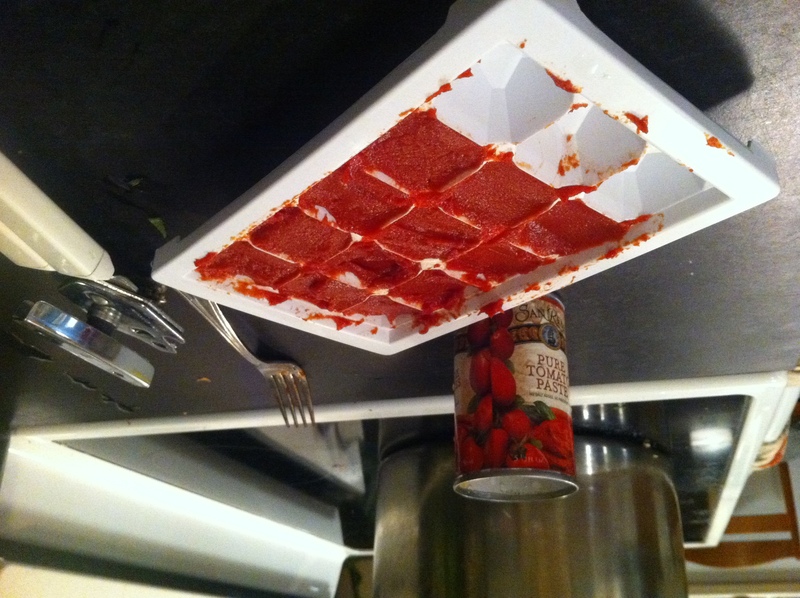 Find yourself an ice cube tray that makes smaller cubes, portion the remaining paste into the compartments, and freeze. I’ve discovered that each little tomato cube is pretty much exactly the right amount for most recipes; when in doubt, use two. Saving food and money is exciting and fun! Better solution: buy it in a tube, which keeps the air away from it so it doesn’t go bad. I’ve seen these at the Market on Yates – Mediterranean food stores might be another good bet. Good idea. But what’s the price difference? It’s also about saving money.